Green Locksmith specializes in high security locks and 24/7 emergency lockout scenarios. We have a team of expert technicians that travel all across the San Diego areas. We firmly believe that no home should be without high security locks. Our responsibility is to keep you safe 24/7 and it all begins with high security locks. In the event of an emergency, we can arrive within 30 minutes or less to make sure everything is alright. We can be reached at the touch of a button! We only use the best name security locks in the business. We regularly work with Medeco and Mul-T-Lock brands to ensure the highest possible level of security. These elite quality locks have the best ratings in the locksmith industry and they’re well known for keeping burglars out! Cheap quality locks are easy to bypass with a set of lock picking tools. Burglars pay close attention to cheap locks, since they make for easy targets. They’ll certainly have a difficult time with our locks and that’s a fact! Green Locksmith offers a wide scope of residential locksmith solutions, which includes; high security locks, CCTV installation, master rekeying, emergency lockout solutions, gate locks, garage door locks, alarm systems installed & repaired, iron works, sliding door locks, window lock installation and much more. We’ll install the high security locks on the spot and at a time that is most convenient for you. We’ll remove the existing locks with a soft touch to make room for the new and improved security locks. High security locks are just as important for commercial settings. We can stop by your office or workforce establishment to install the high security locks. We have an amazing team of technicians that have mastered the craft to perfection! Our friendly technicians will also test the locks to make sure everything is in order. Our mission is to provide adequate security measures for the residents of San Diego. We aim to achieve our goal, one satisfied at a time! 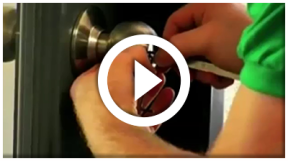 High security locks make it virtually impossible for burglars to enter your home. For added security measures, we advise our clients to get a top-of-the-line CCTV surveillance camera installed. The camera can provide an extra cushion of security to prevent unwanted guests from entering your establishment. We have a ton of security products and gadgets to choose from. 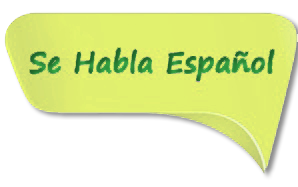 Our expert specialists will explain you the variables between each product as well. You don’t have to spend another sleepless night worrying about the level of security in your home! We’re an honest and reliable locksmith company that has been keeping the city of San Diego safe for many years. Our customer care team will take down your information and setup a convenient date for security locks installation. We’ll give you an excellent price that you can put into writing. Don’t settle for cheap quality locks anymore! Let the pros at Green Locksmith install the best quality locks inside your home. Give us a call today.